From the filigreed iron to its balconies to the jazz and jambalaya that permeate its air, New Orleans personifies grace, gumption and joie de vivre. The city’s indomitable spirit is the inspiration for OPI’s spring 2016 collection. 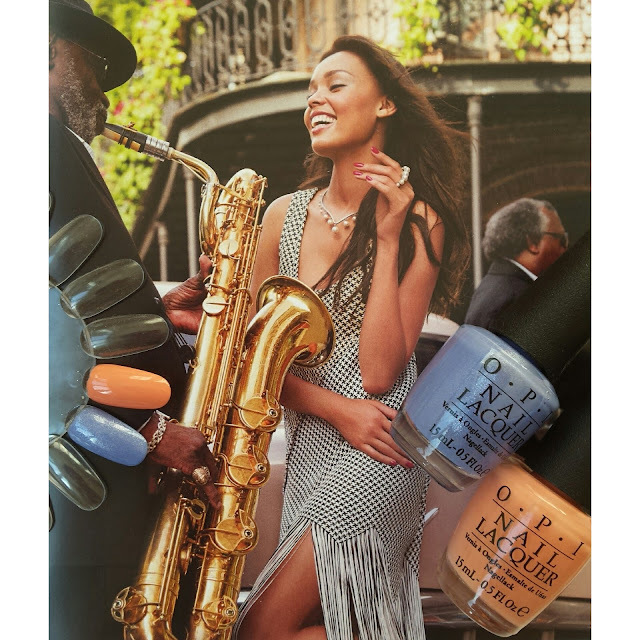 New Orleans Collection by OPI features 12 gorgeous new nail lacquers and matching GelColors that take nails and toes from beignets at Cafe du Monde all the way to nightcaps on Bourbon Street in style. Sweet, spicy, soulful and vibrant, the palette is perfect for a town where parades pop up everywhere, and dancing in the streets is de rigueur. Every day is Mardi Gras with shades like “I Manicure for Beads” and “I’m Sooo Swamped.” It’s always fair (albeit steamy) weather, with “Humidi-tea” or “Let Me Bayou a Drink.” Other hues – “Got Myself into a Jam-balaya,” “Rich Girls & Po-Boys” and “Crawfishin’ for a Compliment” – pay homage to the Big Easy’s world-famous cuisine. "New Orleans by OPI" is now available in stores at the price of CHF 19.90 (15 ml). Go to www.opiswiss.ch/de/wheretobuy to find your nearest store.